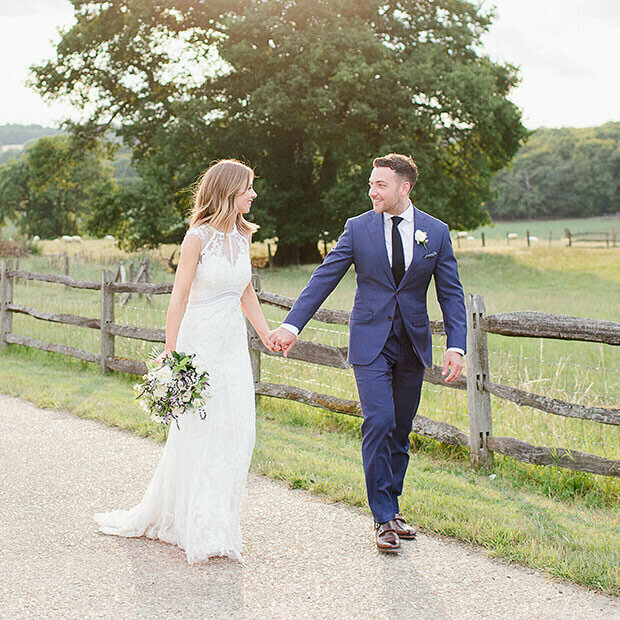 We can’t deny it – we LOVE winter weddings here at Gaynes Park and however cold it is outside, you can be sure of the warmest of welcomes. From frosty, snowy celebrations and festive weddings to intimate and luxurious feasts that feature the very best of the season, a winter wonderland wedding is always spectacular. Let’s start with food and drink because it’s the time of year when indulgence is absolutely encouraged! Warm canapes and drinks are just what you need for your drinks reception and our caterers, Galloping Gourmet, have a mouth-watering selection available. Your wedding feast should feature hearty favourites or indulgent options and our favourite has to be the big sharing platters that are served family-style at your tables. We should also talk about ideas for your outfits, especially if the temperature plunges. Bridal wraps and boleros are perfect for keeping you warm and snug. You might also want to have some bridal wellies on hand too, especially if you want to keep your feet warm whilst taking those beautiful outdoor winter wedding photos! When it comes to colour schemes for your winter wedding, it depends whether you want cosy wintery warmth or if you’d prefer an ice cool look. Whites, blues, silvers and greys are a great combination as are rich jewel tones or traditional festive shades of green and red. Whatever palette you choose, bring it to life with lots of atmospheric lighting. 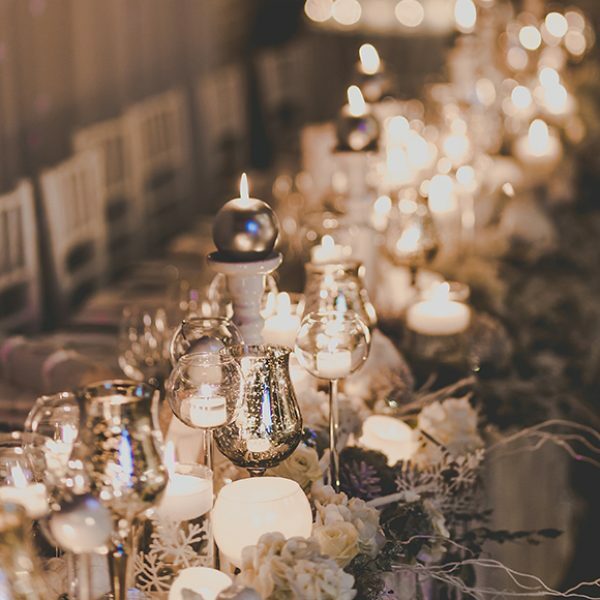 Strings of fairylights or soft coloured uplighters are always impressive and can bring intimacy and warmth to your celebration. 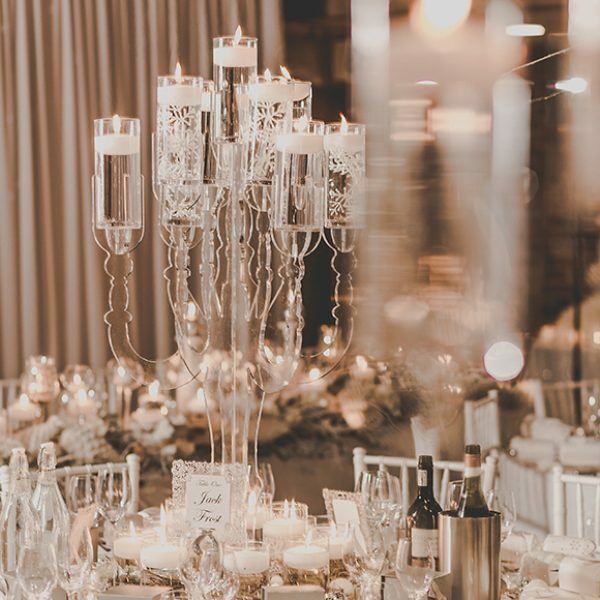 Candlelight really is the most romantic option for winter weddings. 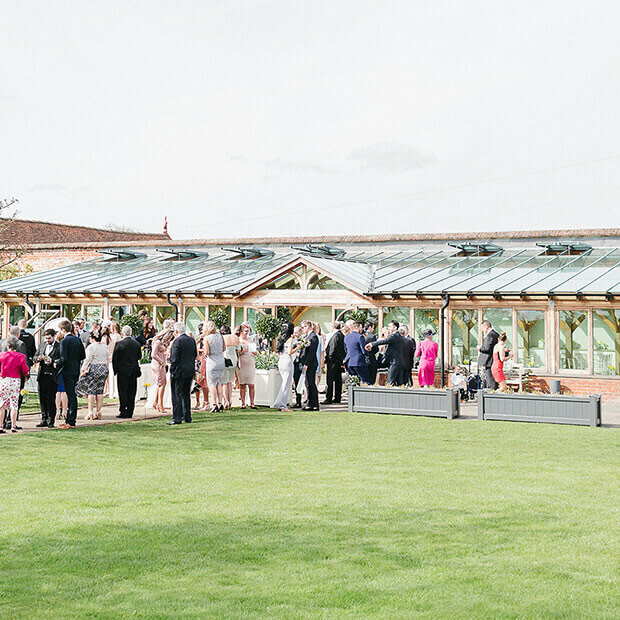 Line the paths, aisle and walkways that surround the Orangery with glowing lanterns, fill your tables with tea-lights or towering candelabras and let everyone feel the romance! Of course, it’s so often the details of the day that really bring a wedding to life so here are even more season wedding ideas that are just gorgeous in the winter months at Gaynes Park: • What could be a better for winter wedding favours than crackers? Fill them yourself and add name tags to make them super personal. • Don’t forget to hang mistletoe around the venue! We suggest above the entrance to the Orangery and Mill Barn to catch as many guests as possible. • A boozy hot chocolate station makes a wonderful addition to your evening reception. • Add lots of seasonal foliage to your decorations. 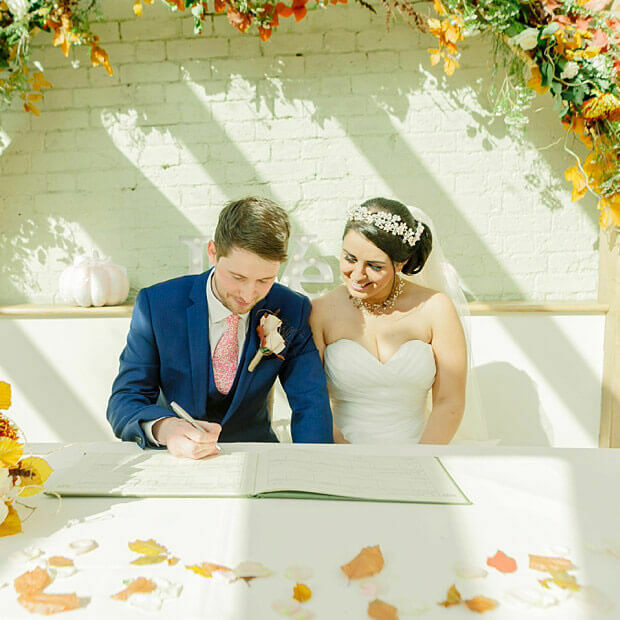 Holly and ivy are a gorgeous wedding pairing and they look ace when wrapped around the beams in the Orangery. • Bring some drama to your reception in the Mill Barn with super impressive fabric swags. • Make the most of our Christmas tree over the festive period – it’s an iconic backdrop for photos. • Use lots of seasonal items for your decorations – baubles and pine cones can be transformed into place card holders; candy canes are ideal favours and wreaths are stunning large decorations. • Set out a basket of blankets for guests. This is great if you’re outside for photos for any length of time or for any outdoor areas in the evening. 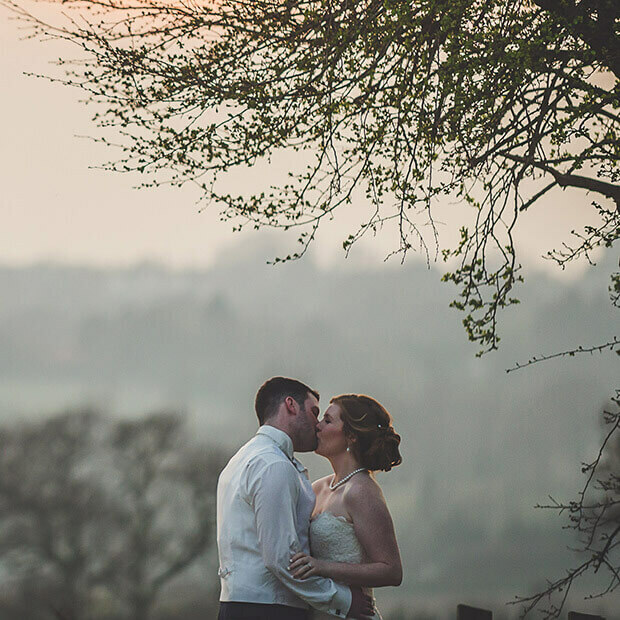 If you’d like to see more of Gaynes Park through the seasons, take a look at our gorgeous gallery or request our brochure for more information. 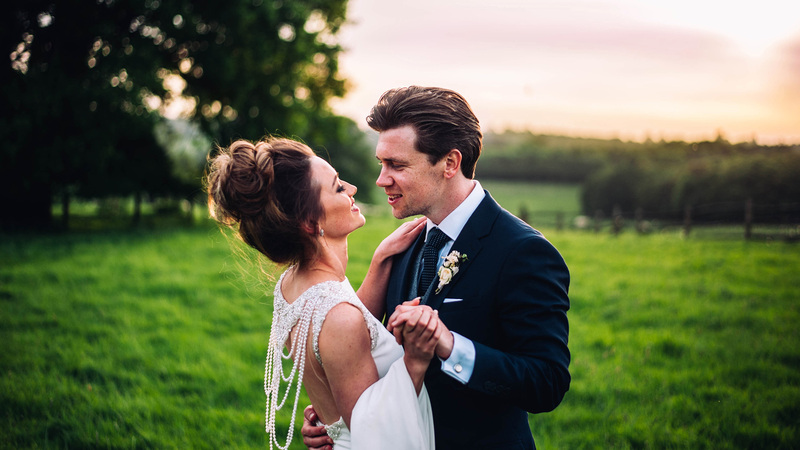 We’d love to welcome you so that you can see just what makes our barn wedding venue so special so do get in touch to arrange a time to visit us.